Firstly a HUGE THANK YOU to everyone who applied for our Design Team. We very much appreciate your taking the time and your love for our products. We wish we could have everyone on our team but unfortunately we cannot. This year we have a smaller core team but we have more Guest Designers giving you fabulous projects from our designers you love and variety with having a Guest Designer or two each month. 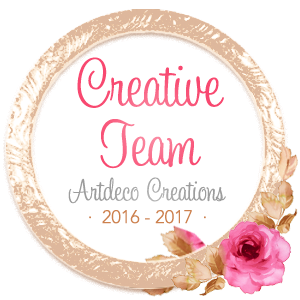 our 2016/2017 Design Team officially start their term July 1st, you will learn more about them all then in the meantime please visit their blogs to see what they have been creating. We are so excited to have these amazing ladies guesting for us this year, again please visit their blogs to see what beautiful projects they have been creating and don't forget to leave them all some love. I am looking forward to the NEW challenge! !